A sufficient color solution does not have to come in the form of a bulky multifunction office machine anymore. 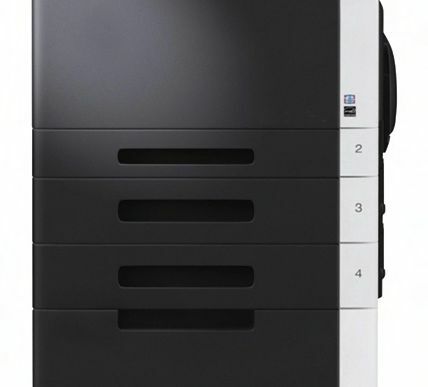 We at Pacific Office Automation now carry the Muratec MFX-C2700 desktop color printer as the convenient solution for all of your printing, copying, scanning, and faxing needs. This model is ideal for small businesses, regional offices, and corporate workgroups who need a cost-effective addition to their existing office technology. The MFX-C2700 produces high-speed color output at rates of up to 27 ppm (pages per minute). In black and white, users can enjoy the efficiency of a 31 ppm output rate. Muratec’s advanced color technology sharpens text, graphics, and images to produce high-quality documents—even on ordinary office paper. With other media types, this machine excels, producing crisp imagery on 3 x 5 inch post cards, on recycled paper or cardstock, on waterproof paper, on fronts of envelopes, on sticker labels, and even on 8.5 x 35.4 inch banner paper. This machine truly does it all—letting your office add its personal touch of professionalism to every paper product that makes it through your environment. 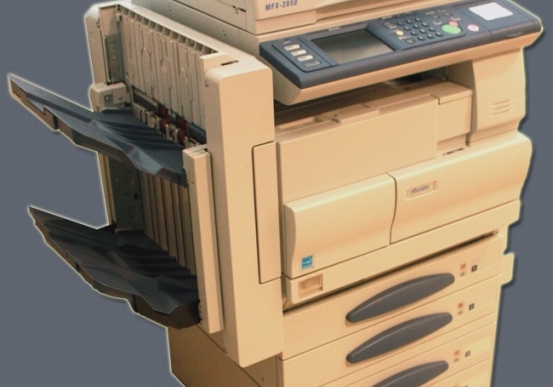 A 50 sheet reversing automatic document feeder (RADF) quickly captures two-sided or multi page documents for copying, speeding up your production process and decreasing time spent at the printer. As a digital tool, this multifunction printer provides you with the means necessary to move toward paperless operation. Users can easily deliver scanned documents to email addresses, PC folders, and FTP sites. All scanned items can be converted into the appropriate file type—PDF, TIFF, JPG, or XPS file—to make future incorporation and manipulation much easier. Dimensions ( H x W x D) ( H x W x D) - 17.5" x 16.8" x 20"